GeneXus R+D team is on track in its exploration of autonomous vehicles. In this post we will talk about donkeycar2 and its participation in the first meetup of the DYIROBOCARS group in Latin America. The first meetup of DIY Robocars in Montevideo was organized by ThalesLab and Centro Ceibal with the support of Fomin and ANII. 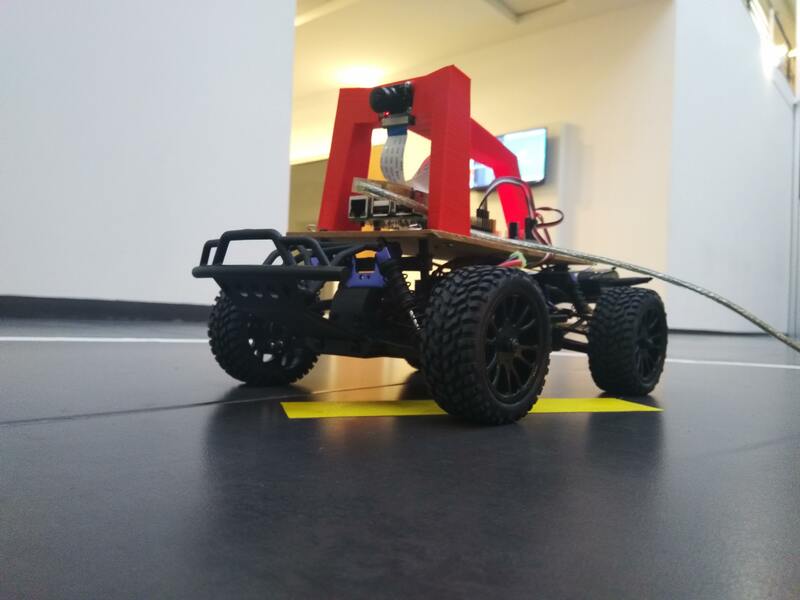 DIY Robocars is a community created by Chris Anderson that brings together people interested in developing and experimenting with autonomous vehicles. Its goal is to create these vehicles at a professional level with a small budget, using the latest software technology, such as machine learning and computer vision, from TensorFlow and OpenCV to ROS and Keras. On the website of DIY Robocars Montevideo you can read more about this global and local community. In this context, the first meetup took place in Montevideo in July (the first also to be held in the Americas beyond the USA!). This event was attended by Ceibal students (advanced high school students in robotics), as well as by professionals from universities and companies working in different robotics fields. The focus of the first meetup was to transfer and share with all interested parties how to set up the robocars simulation and training environment, and how this is then applied so that the cars can be driven in autonomous mode. GeneXus and ThalesLab are interested in this area because autonomous vehicles could also be very useful to support agricultural, industrial and domestic tasks, or even for activities that are dangerous for human life. That’s why we invite you to join DIY Robocars Montevideo and find out about the next meetup in Montevideo. Also, you’re invited to host your own meetups in different cities around the world. Here is the video of the talk at GX27 where you can see very interesting experiences, such as how to move from simple behavior to complex behavior programming. We also share this video from Google experts –Laurence Morony (AI expert) and Pete Warden (Tech Lead for TensorFlow on Mobile)– speaking about a meetup of Tensor Flow (Google Machine Learning Library). And if you are even more interested we invite you to read this too: TensorFlow at Google I/O 2018! New meetups are coming up in August, September, and November!